Stationary seating for guests that cannot transfer. 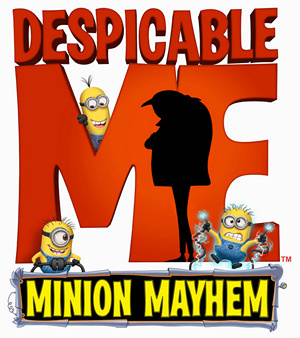 Join Gru, his daughters, and the mischievous Minions on a heartwarming and hilarious 3-D simulator ride. Start your adventure in Gru’s home, where you’re recruited for his latest scheme – one where you’ll become an actual Minion. The laughs keep coming after the ride with an interactive, Minion-inspired dance party. Take the floor and show off your best moves. You should most certainly ride early in the morning or towards the end of the day. Even the Express line can be as long as 30 minutes. 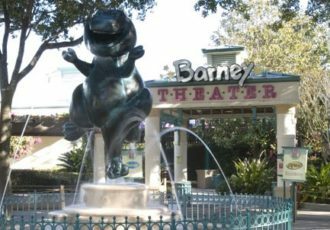 When Universal Studios Florida originally opened in 1990 the attraction housed here in Soundstage 42 was called "The Funtastic World of Hanna Barbera." That attraction took you through multiple cartoon worlds including Scooby Doo, The Flintsones, and The Jetsons on your journey to save Elroy, with your pilot Yogi Bear and co-pilot Boo Boo. Later in 2003 the ride was converted into "Jimmy Neutron's Nicktoon Blast," starring many popular Nicktoon characters like Spongebob, Rugrats, and The Fairly OddParents. The new version utilized the same ride system and pre-show layout with new films. 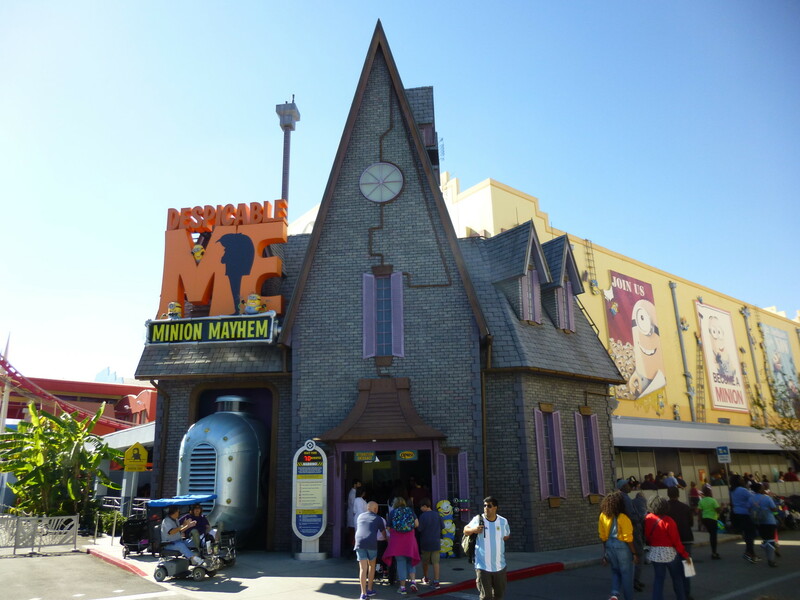 "Despicable Me: Minion Mayhem" opened in 2012, and unlike its predecessors, this version of the motion simulator included a 3D film, rather than 2D. The pre-show layout changed somewhat, allowing more room inside, taking space away from the interactive playground near the exit. The dance party area introduced with the Nicktoon variation remains though, where you can now get down with the Minions on your way out.